Why the rush to explore space, when the oceans are the likely key to life on earth? While much news for the past month focused on plans for NASA going – or not going – back to the moon, then exploring the wonders of the sun, and yesterday a hearing on manned spaceflight, keep this in mind: we’ve only ever been to the deepest point in the ocean once – and that was before much of the population of the United States was even born. Since 1968, we’ve landed on the moon six times, and nine times we’ve flown by it. Between 1968 and 1972 there were nine missions to the moon. And yet there has only ever been one mission to the deepest part of our ocean. It was Jan. 23, 1960. It’s been 50 years since we’ve reached the deepest ocean depths. On May 12, 2010 at the Senate Commerce, Science and Transportation Committee hearing on the Future of Manned Space Flight, Apollo 11 Astronaut Neil Armstrong noted President Bush’s plans to finish the International Space Station, return to the moon, establish a permanent presence there, and venture onward toward Mars. But there remain no analogous plans by that Administration nor the Obama Administration to commit to a serious exploration of our planet’s ocean depths. So other than the fact that some people like deep sea exploration and others like space exploration, does the difference matter? 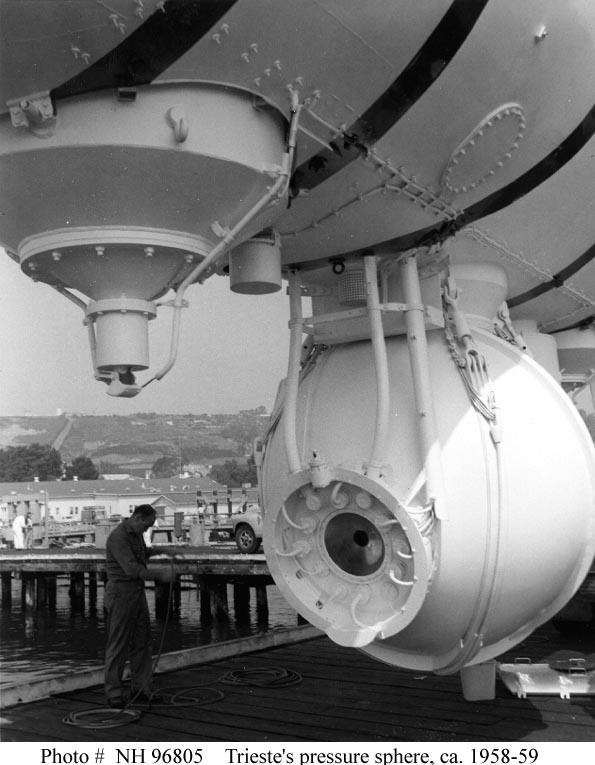 Yes because unlike moon landings, when we failed to find any life, and have spent much time, money and effort wondering if it ever did support life, in 1960 when the Navy submersible Trieste reached Challenger Deep, the deepest ocean spot known, they saw with their own eyes what few suspected they would – life. Not just invertebrates, like shrimp and worms which some thought might live at such extreme depths – they saw fish. Yes, fish at 35,800 feet. There are flatfish in the shallows of our bays and estuaries all along the east coast. As a young boy, still too small to hold a fishing rod, I remember catching other types of flatfish on a hand-line in my formative years on the Chesapeake Bay. And thanks to two brave men from the Navy, we know that flatfish also live seven miles beneath the sea. What is so much more exciting about the oceans than space? Both have extreme conditions. Both require technology, engineering expertise and dedicated people to make visiting these places possible. But what sets the ocean deep apart from space is life itself. What is occurring on at the bottom of our oceans that allows for complex food chains that could support vertebrate life to exist? We have only one brief direct human observation to answer countless questions about life at the deepest part of the sea. We once saw the oceans as simply a form or transportation, a way to more easily move goods and armies long distances, and a way to fill hungry stomachs. But in the last century we have come to understand that terrestrial life itself depends on the oceans. Without the food it produces, the oxygen it releases into the atmosphere, terrestrial life on our planet would be very different, if it could exist at all. And now climate scientists and oceanographers alert us that the oceans have a significant role regulating climate too, and that the oceans have likely been serving as a sponge that have soaked up significant CO2 produced by human activity for some time now. How full is the sponge? We really don’t know yet, nor do we know whether the sponge keeps CO2 forever. Will the oceans later change and have a negative impact on our planet as atmospheric conditions continue to change? That is currently uncertain too. As are the impacts, either positive or negative, on life in the depths of the ocean. CO2 levels have been documented as changing over the last several decades. 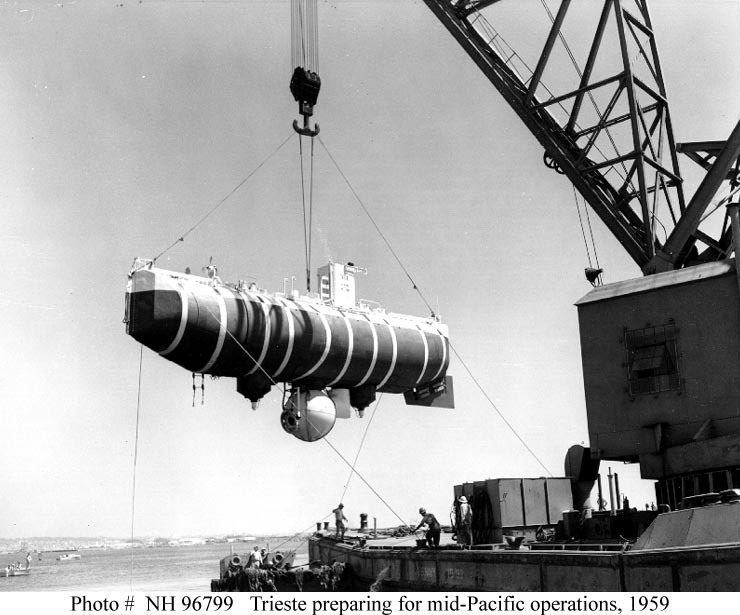 Does life in Challenger Deep it look any different than it did in 1960? Unless we build the craft to return to these vast depths, we can only guess. So should we stop exploring space and only explore our globe, and focus on the most extreme depths? My hunch is no, as space also provides a return on investment. Historically there has been significant technology spinoffs from the space programs – spinoffs that have been good for the American economy. How big that return on investment is for America, and whether we need to rush into expanded space exploration, or take a more metered approach, I will leave to others. But this year, the 50th anniversary of the only time humans sat, even ever so briefly, on the ocean’s deepest spot, I say that we have consistently underfunded the understanding of our oceans. And from this ignorance we likely risk further damaging our planet. Mankind does have a long history of harming that which we do not understand. So for even those of us who SCUBA dive, those who are able to see first-hand many wonders of the ocean’s first tens of meters, consider that we can spend years exploring those shallow depths and be left with one certainly: there is much of our planet that we still do not understand, not even at a rudimentary level. And while the advent of robots and autonomous sea vehicles will help us greatly expand our understanding of the undersea world, there is no substitute for a human seeing and experiencing first-hand, the most extreme places on earth. Who will be the next to go back to the greatest ocean depths? Will it be this generation, or will opportunity pass us by as it has the professional careers of those in decision making positions in the 70’s, 80’s 90’s and 2000’s?